Here at Our Chiro, we believe that responding to and treating each patient’s health issues, needs and concerns individually to be of the utmost importance. Every patient is different, so we offer a complete and full assessment when deciding on the best treatment methods and patient management allowing us to achieve great results and outcomes for our patients. Consultations are conducted in the privacy of separate treatment rooms. We also have a great referral network of medical doctors, podiatrists and other health specialists as sometimes a multidisciplinary approach is needed as our priority is to improve YOUR health! 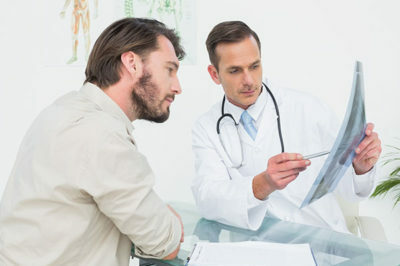 Our team of dedicated chiropractors have both the expertise and skills to properly diagnose musculoskeletal issues a patient may present with before determining the right course of treatment. Whether you are suffering from back pain, neck pain, shoulder pain, hip pain, carpal tunnel, poor posture or many other problems our knowledge of the musculoskeletal system and nervous system ensures we are equipped to provide a swift diagnosis and treatment plan to get you feeling your best. All consultations are conducted in privacy within a designated treatment room to ensure you feel as comfortable as possible throughout the entire process. Our skilled team of chiropractors have five years of university education behind them and ongoing continual professional development to keep up to date with the latest medical research. We have a great referral network of medical doctors, podiatrists and other health specialists, as we believe that in some cases, the most effective treatment is a multidisciplinary approach. Our priority is your ongoing health needs. We use safe, gentle and effective methods for all our patients. The treatment methods are research and evidence based in order to achieve the best possible outcomes and care. Our treatments range of low force techniques to manual adjusting methods which gives us the ability to treat patients from young to old and everyone in between as well as athletes ranging from weekend warriors to the elite and professional levels. Some of our treatment options include: diversified manual technique, trigger point therapy, kinesio-taping, massage, laser therapy, drop piece (TPT), dry needling and more. Whether you have woken up with a sore neck after sleeping on it, have suffered from a sports injury or have a long term problem such as headaches or back pain, our professional team is on hand to alleviate your pain and get you on the road to recovery and the best of health. Give us a call today to book in your appointment. Our purpose as primary Health Care Practitioners is to help members of the community reach their health goals through the application of Chiropractic and musculoskeletal techniques and maintaining a healthy lifestyle. Servicing Brisbane, Fortitude Valley, Teneriffe, New Farm, Bowen Hills, Newstead.